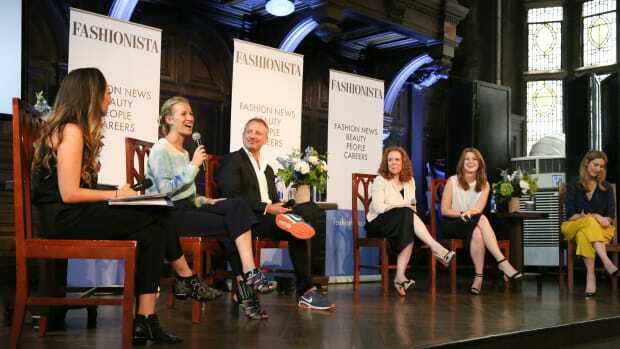 Our "How to Make It in Fashion" conference is coming back to New York City on June 27! And trust us, you&apos;re going to want to be there. We&apos;ve got great panels and keynote speakers lined up, including: Robbie Myers, editor in chief of Elle; Ariel Foxman, editor in chief of InStyle; Amy Astley, editor in chief of Teen Vogue; Misha Nonoo, designer; Aliza Licht, senior vice president of communications at Donna Karan International; and Jarrad Clark, global creative director of IMG Fashion. And that&apos;s just a fraction of the list. But here&apos;s the really important part: If you grab your tickets now, you&apos;ll get them at a discounted rate. The Early Bird special ends May 15 -- and we&apos;re already close to selling out -- so get to it! Tickets are available now for $179, so click here to grab yours. We can&apos;t wait to see you on June 27!